The 2013 installment of Vinylmation’s best smelling series will have the theme of Disney Characters as Nutcrackers. 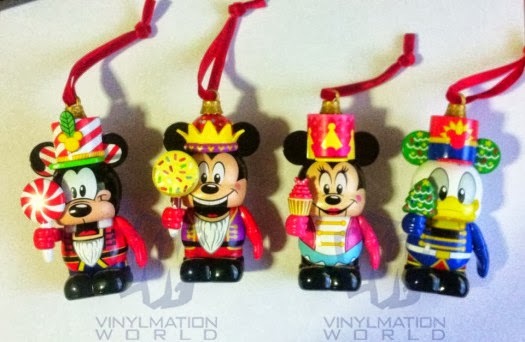 Vinylmation World has posted a leaked photo of Jingle Smells 3 and it features a peppermint scented Goofy, a Mickey that smells like sugar cookie, Minnie with a strawberry scent and a chocolate scented Donald. Like the previous sets, each Jingle Smells 3 figure has an ornament top with a ribbon for hanging. No word on if they are designed by Disney Store artists like series 1 or Disney Design Group artists like the second series. Vinylmation World reports that Disney Stores and Disneystore.com will release these four open window figures in the next few weeks. I hope D-Street gets them too like last Christmas, but no word yet. Overall, I like the unique take on the characters. 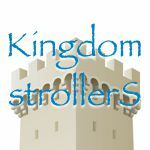 They have vibrant colors and cool accessories. I think I would still say series 2 is more fun, but these are well though out and exactly what collectors want. Love the colorfulness of this series! Nutcrackers are timeless as is Disney so I think this set will be very popular.